There are many 2012 releases gracing my TBR at the moment. 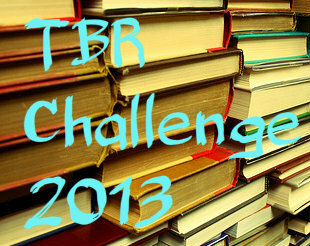 At this point, quite a few of them make up what I'm calling my "regrets list" -- books I regret not reading last year. 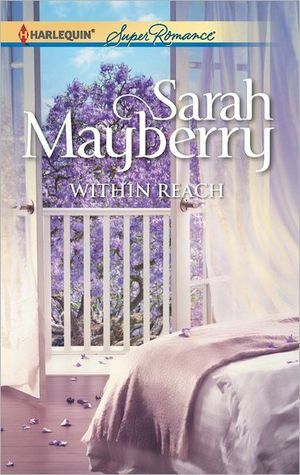 Well, Within Reach by Sarah Mayberry, a book I purchased as soon as it released but for some reason never read, is definitely one of them. Was it that very bland lavender looking cover? Or was it the predictability of the blurb that did not set this book apart for me? Being a single dad was never on Michael Young's agenda. Yet with the sudden loss of his wife, that's exactly the role he has. On his best days, he thinks he can handle it. On his worst... Luckily, family friend Angie Bartlett has his back, easily stepping in to help out. Michael is noticing exactly how gorgeous Angie is, and how single she is. She's constantly in his thoughts and he feels an attraction he never expected. Does he dare disrupt the very good thing they have going? If they have a fling that goes nowhere, he stands to lose everything - including her. But if they make it work, he stands to gain everything! 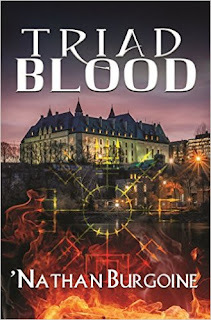 Whatever the reason, I should have known better from my experience with Sarah Mayberry's writing style and enjoyment of her SuperRomance stories, not just those from Harlequin's Blaze line. I know that she has the ability to turn a long-used plot device that reeks of predictability into an emotionally charged contemporary story about people -- friends, family, and lovers -- that become more than two-dimensional caricatures on the page. I absolutely love that aspect of Mayberry's writing, particularly since she can achieve this... "magic" in a short format. Of course, that's exactly what happens in Within Reach. The story's main plot device is riddled with a big romance taboo -- the best friend who falls in love with her dead friend's husband and vice-versa, and the reader gets to meet this best friend in all her glory before she dies. A no-no if I ever heard of one. Angie Barlett's BFF Billie dies suddenly leaving two small children and a heartbroken and grieving husband behind. Ten months later Angie realizes that Michael's grief has taken a turn into such a deep depression that the children are also affected. Billie would not have wanted that at all, so Angie takes charge and with a loving but tough hand tells Michael he needs to shape up fast. Michael is a great father and reluctantly takes her advice. The two slowly become real friends fond of each other, backing each other up in times of need and talking about their daily concerns. Michael in particular comes to depend on Angie as she makes herself available to help with the children's care when he returns to work. In return, he helps Angie by providing a space in his home when she needs a studio for her jewelry-making business. But all that close contact leads to Angie slowly becoming aware of Michael as a man, and eventually Michael begins to see Angie as a woman. They are both horrified and initially deny the attraction. Angie feels like she is betraying her best friend and Michael feels like he's cheating on his wife just by looking at Angie. They pull back from each other, but when the attraction turns to passion, will Michael forgive himself? Will Angie? Can they keep their friendship? What if it's more than passion? This was such an emotional read! First because Mayberry actually introduces the readers to Billie and then because Michael and Angie's grief is palpable throughout the development of the romance. When I first began reading this romance and met Billie I didn't think there was any way that I would be able to connect with Angie as Michael's romantic partner, but Mayberry works this relationship beautifully by digging deep into these two people's grief and then developing a true friendship, so that eventually the passion and love that emerges becomes inevitable and acceptable to the reader. There is just no other answer but for Angie, Michael and his children to become a happy family. Did I mention passion? I couldn't believe how carnal and steamy this romance becomes in the midst of all the emotional and guilty baggage that Michael and Angie carry around. Steam, heat and chemistry abound once this couple gets together and yes, this is surprising particularly for an angsty SuperRomance. Problems? Yes.... I did have a nagging problem at the end there. I loved that Angie and Michael found happiness together, a love made up of true friendship and passion where Billie's memory could live without being ignored or resented. But.... as much as I loved Billie, I wish (and this is my personal preference) that Michael and Angie had time to enjoy more of that romance, that passion and love without Billie's ghost haunting them. The book ends when that lovely relationship is about to begin... a much deserved happy ever after. Within Reach is a beautifully developed, meaty contemporary romance with some amazing character development and a subject matter that may push buttons, but that Mayberry works with a deft touch. If you haven't read it yet, please don't wait, it's worth the read. Oh, I have GOT to read this one! I love how Mayberry can combine major character development and interesting backstories with really well-written love scenes. I've read some of her books, but this one is still in my own TBR. Yes, I realize I am not a well women and need professional help. LOL, Wendy! So are we twins? My husband says I'm "contrary." Sometimes I don't read books just because... and get tired of them (or authors) because everyone goes on and on about them. Sigh... But yes, I do like Mayberry. She is good. I do hope you read this romance. She works it! I read this and was so impressed at how believable and realistic the story was. I loved it and am glad you did too. Phyl, I agree! The feelings and stages that Michael and Angie went through felt realistic. I couldn't stop reading this book. It was that good. I agree with the stuff you said. I did like this book but I also had a few problems with it like what you mention that (on the page) they didn't get to have more happy times. And yeah it was pretty steamy! Glad that you enjoyed it so much, Hils :) I read Within Reach and thought the execution was pretty much flawless, but I didn't love it as much as you did. I think it's simply because this is not my favorite trope and so, I had difficulty really getting into it. Hey Nath! We agree, awesome execution. This trope pushes buttons with a lot of people or they find it too angsty to enjoy. Yeah, I can understand that, Hils, because it's definitively not my favorite trope either, but I'll give it a chance when I know the author can execute. Truthfully, I don't actively look for this type of storyline, and when I read one it HAS to be well-done in order for me to enjoy it. We agree there.